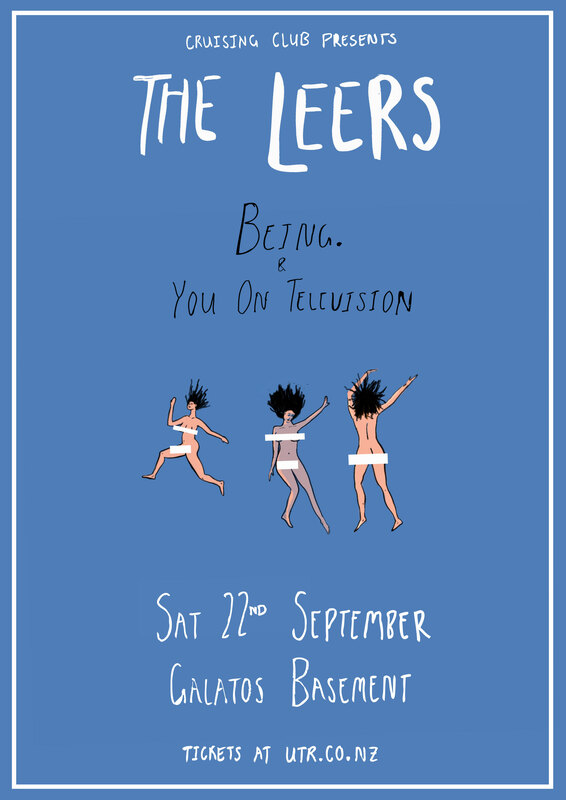 The Leers have been a staple in the NZ indie scene for years now. Supporting the likes of Mini Mansions (US) and Baynk, as well as racking up 600,000+ streams on their debut album 'Are You Curious? ', the boys' meticulously thought out melodies and swelling guitars have caught the attention of many. Being. is the moniker for Auckland based Indie artist Jasmine Balmer. Founded in angst and surf’d-out guitars Being.’s music leans towards a Melancholy-Surf aesthetic as she jumps from zest-drenched Indie Pop to introspective spoken word. You On Television is the stoned, introverted, bedroom creation of 23 year old Nick Wrathall. Birthed in a flat in Wellington, You On Television sounds instantly reassuring and captivating at the same time - like being day drunk at a close friends house. Designed to make your ears feel good, Nick’s songs are made to be enjoyed. So hurry up. We will wait.